﻿ InterContinental Singapore (Bugis) | FROM $206 - SAVE ON AGODA! 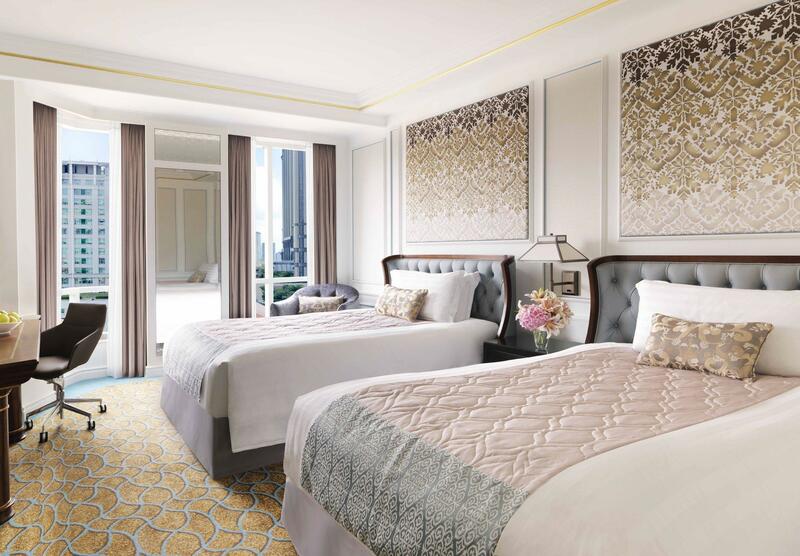 "Good: Great comfy and clean room, understated and elegant, a..."
"The concierge were very helpful with directions to the shopping mall and MRT." 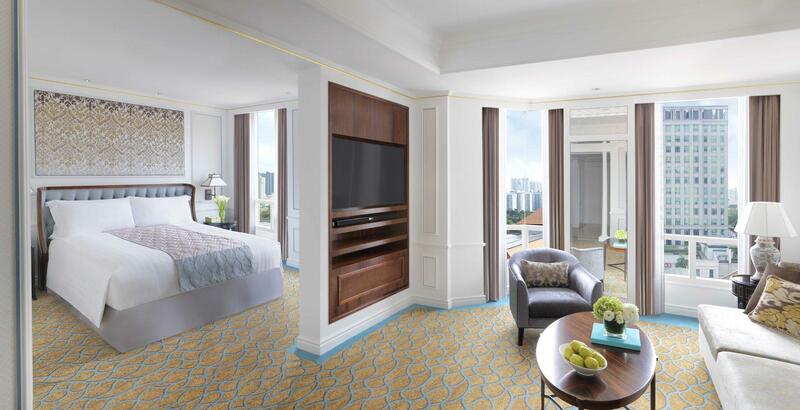 Stay at the InterContinental Singapore and treat your loved ones to an indulgent getaway. This property is near places of interest such as Shinno Tea, MU, Teajoy, Bugis Junction, and International Enterprise Singapore. It features a bar, restaurants on-site, and room service, so there is an assortment of dining and snacking choices. Offering tours of the area, it is the perfect place to stay to learn about your surroundings and see everything you can while you're here. With a laundromat, safety deposit boxes, a currency exchange, a salon, as well as a library, it has numerous convenient features to make your stay more comfortable. It has a fitness center, a hot tub, an outdoor swimming pool, and a spa among other fantastic facilities. The InterContinental Singapore has a kids club, giving your little ones a secure place to play and have fun. Equipped with family rooms, it has adequate space to hang out. It also provides a kids swimming pool to keep the little ones busy throughout your visit. 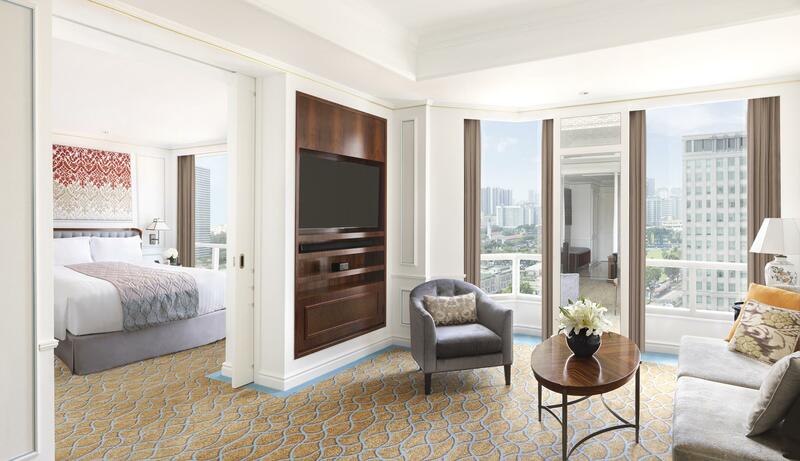 From a concierge to dry cleaning services, the InterContinental Singapore has a range of useful services for you to utilize. There's free Wi-Fi in all rooms, as well as Wi-Fi in common areas, so visitors won't have to spend money on purchasing a local sim card. 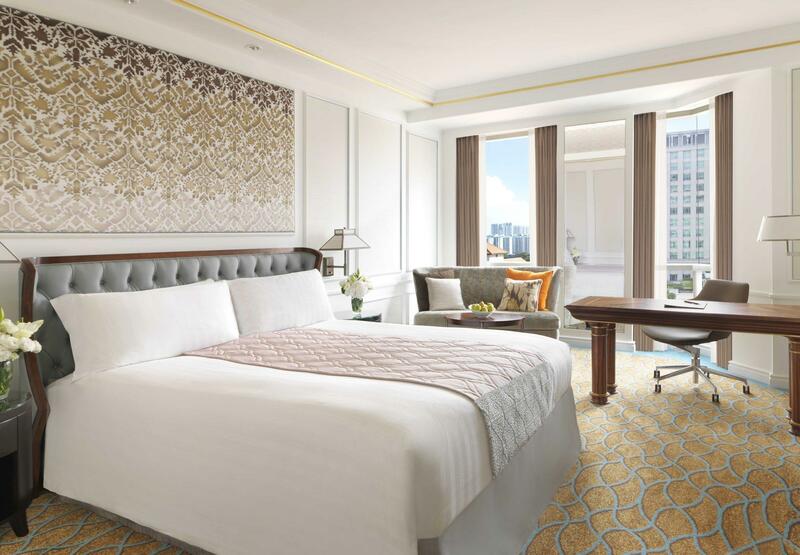 The InterContinental Singapore has air conditioning, a desk, satellite or cable channels, and an alarm clock. It also has bathrobes, an in-room safe box, towels, a bathtub, and more. The property accommodates pets, so you can keep your dog by your side throughout your vacation. The front desk is open around the clock, ensuring that there is always someone on call to answer any questions you may have. English, German, Korean, Mandarin, Hindi, and more are spoken at this accommodation. Check-in is offered from 03:00 PM and check-out is until 12:00 PM. 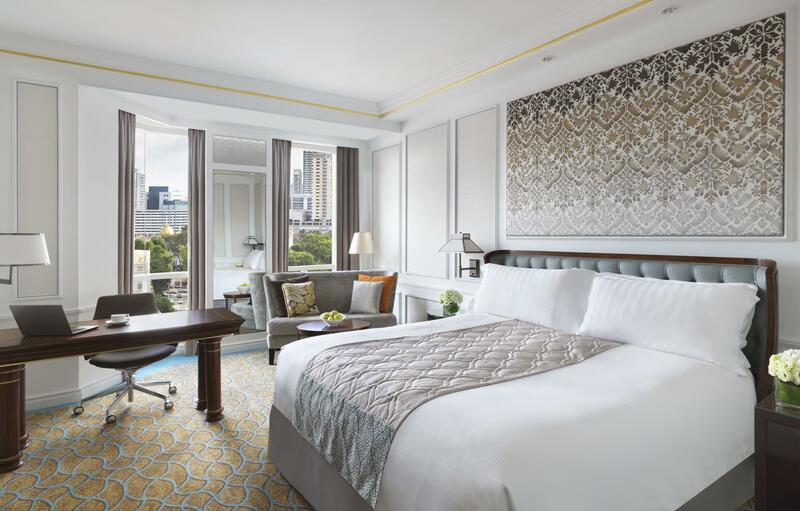 The InterContinental Singapore provides express and private check in and check out, allowing you to conveniently choose the option that best suits your needs. Bugis MRT Station is 270 m away and Bencoolen MRT Station is 520 m away. The nearest airports are Changi International Airport (SIN)-Singapore and Hang Nadim Airport (BTH)-Indonesia, which are situated 16.4 km and 34.4 km away. "Service is good, location is super good." 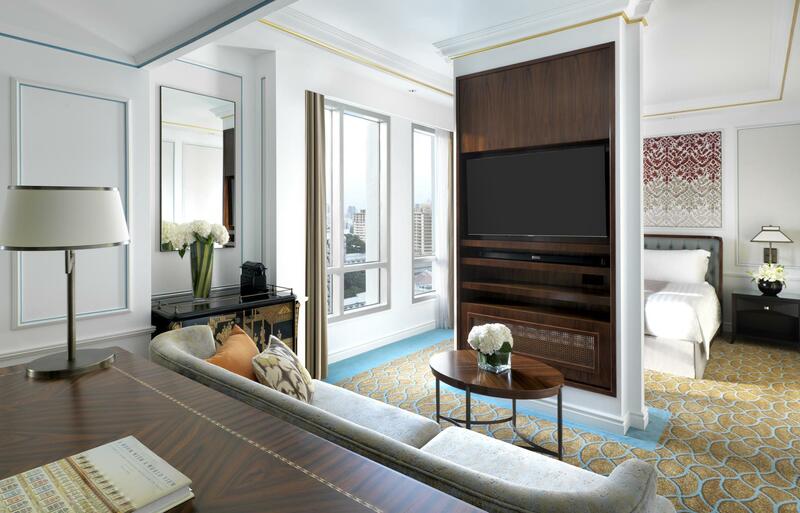 Please note that rooms and public spaces are newly renovated as of February 2016. Not a big room or has big space but the place is nice! this hotel is located at the back of a mall. breakfast is good ang rooms are small for its price but it’s clean. Super like because of the location! Accord with the hotel brand. I like the breakfast,very delicious. They send a Santa cookie to my daughter when we check in? And send a cute birthday cake to my daughter,she is so happy.Thank you for all of this! You can borrow the baby stroller for free. The swimming pool is also good for children. If you have child to live in, it’s a very good choice. Superb hotel. Excellent decor, ambience and food. Our room was very spacious and beautifully furnished. Hotel staff are extremely friendly and courteous. Highly recommend this hotel to all- couples, families and business travellers. By far one of the best hotels in Singapore for accomodation, dining, location and staff. Spacious room and toilet, great location, nice bed and pillow, and love the breakfast spread even more! Only thing is room not too sound proof, I have a family with kids crying next door for quite a long time. booked a room to over the weekend to celebrate husband's birthday. their service is fantastic - staffs are always smiling and they prepared a cake for my husband! love their lounge, very peranakan style. food and drinks are awesome too! totally love it how their service staffs took the initiative to talk to the guests. was almost perfect if not for the fact that their pool is closed and my sleep was interrupted at 8 ++ am on sunday morning, with housekeeping checking if we need any housekeeping. 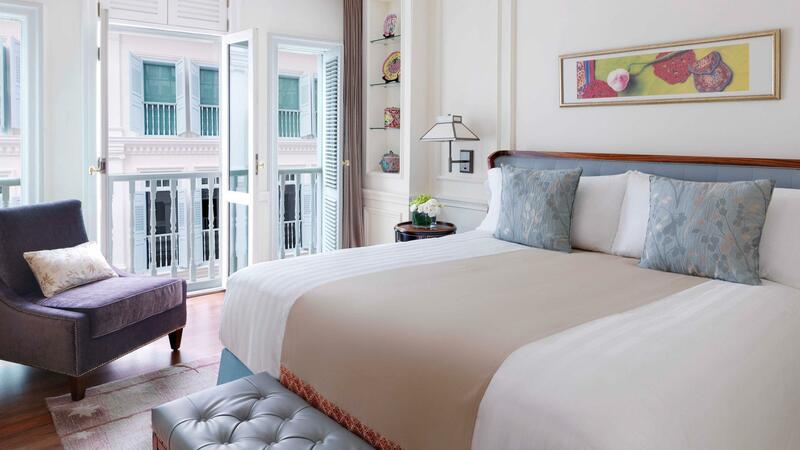 decided to go ahead with Intercontinental for their unique peranakan decoration which i believe can't be found elsewhere. would love to come back again!! We were greeted at the entrance at arrival, where the staff had already prepared a list of customers checking in for the day. As requested, we successfully checked in early and everything was smooth sailing. The concierge were very helpful with directions to the shopping mall and MRT. The rooms were clean, and had a lovely sound system (perfect for having that karaoke in the shower). The handy mobile phone was one of the best and unique selling points of this hotel. It would be perfect if we could use mobile tethering on it or send messages, but it was still extremely convenient for an international visitor like me to use the free calls without roaming charges. Breakfast at Ash&Elm was good (go early or there might be a waiting line). On the second day we noticed some cleanliness issues with the utensils at the restaurant (my spoon had salt sprinkles on them - and some of the plates in the restaurant had grey-ish spots). Overall it was a good stay. Highly recommended. We took the club intercontinental king room which gave us access to the lounge. It was definitely a luxurious experience. Food at lounge was great, service was really good. In the room, it was very clean. Bed felt like a cloud, you could select your preferred pillow. Amenities in the room were plentiful as well. Thumbs up! Plan to propose to my Girlfriend and email them the necessary items I need. fast respond and all items are in the room when I check in. Thanks Jorge for putting in the effort and help me decorate the room. Of cause my gf said " Yes, I do". Thanks InterContinental Singapore. Staff was very helpful & personable. With so many 5-6 star hotels with equivalent facilities , this extra personal touch made the stay even more memorable. It is located at the Bugis/Arab St. area which has a youthful energetic vibe. Staff were nice. She allowed us to check in earlier. Too bad there was no connecting rooms. Room is spacious enough for small family. Location is good. Would be back again and really recommended. We love the breakfast buffet and rate it 10 out of 10. We love the architecture and all interior details making our stay very comfortable. Every other things are near perfect. Only one remark is the size of its swimming pool. A little too small. The location is great, and the room is nicely maintained. The food (in room dining especially) was thoroughly disappointing. Customer Service was disappointing when I made a lost and found enquiry after checked out. The hotel is just in the right location with all Must visit places very close by. Hotel is in awesome condition and rooms are huge and very nicely decorated. The staff are very friendly and always ready to assist. Great food and breakfast. We are celebrating our 12th year wedding anniversary . Upon arrival, we are pleased that our room is available for check-in. In addition, there is a complimentary chocolate platter done-up by the hotel. We fully enjoyed our stay. Well done, InterContinental Singapore.